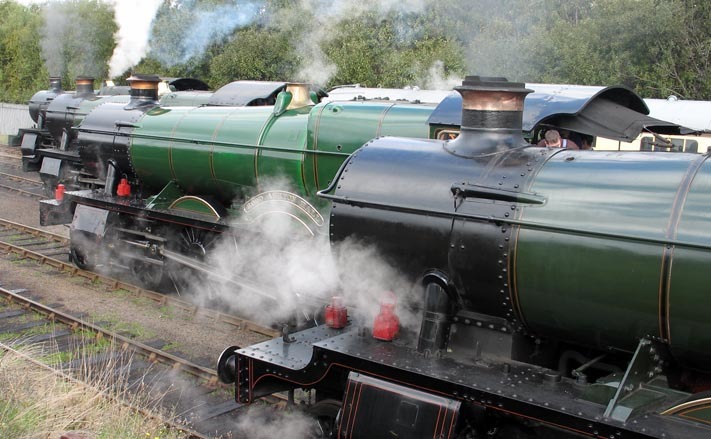 Four GWR locomotives at Barrow Hill in 2006. Great Western Railway Hall class no. 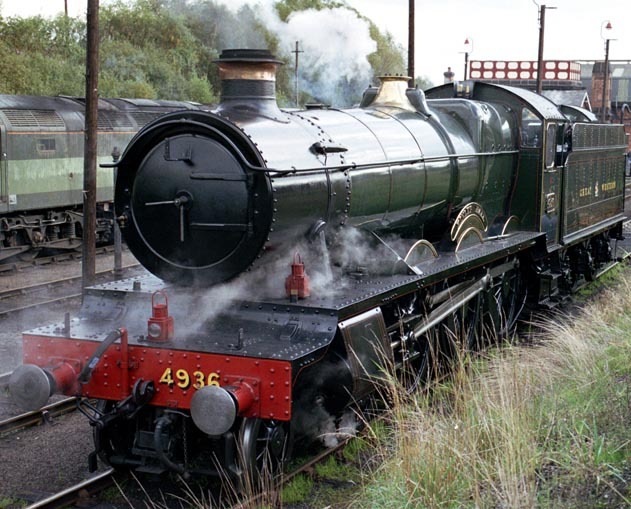 4936 "Kinlet Hall" at Barrow Hill in 2006. Kinlet Hall is a Great Western 4-6-0 Hall class locomotive. This steam locomotive was built at the Swindon Works of The Geat Western Railway in June 1929. The Locomotive was withdrawn by British Railways in 1964 and was one of the many steam locomtives that ended up at Woodham Brothers scrapyard in Barry. GWR 4965 "Rood Ashton Hall"